Every medical condition, no matter how small, deserves the proper attention and care. At FastMed, our patients receive the highest quality of care for all of their basic health needs. Each facility is staffed with a team of passionate medical professionals who is available whenever you are. FastMed provides an advanced urgent care experience, offering services from online check-ins to a savings plan, and more. No time? No problem! FastMed aims to get each patient in and out within an hour. We also offer the option to check-in online, which may reduce the time it takes to be seen. Whether it’s the morning of Easter Sunday or after the baseball team’s night game, FastMed is there when you need it. Our facilities are open 365 days a year, including holidays, and close much later than typical physicians’ offices. 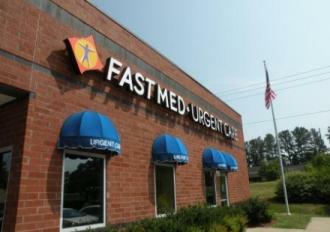 Click here to find the hours of the FastMed advanced urgent care location closest to you. Tricare, Medicare, Medicaid? FastMed accepts them all! FastMed accepts most major insurance providers, but verify your specific plan is covered by checking the Insurance Page on our website. Don’t have insurance coverage? FastMed has you covered. For qualified patients, FastMed offers a discount program that may alleviate some of the expenses associated with health care. We also accept most major credit cards and personal checks. From blood work and X-rays, to flu shots and bronchitis, bring it all to FastMed. We provide both adult and pediatric care, making FastMed convenient for the entire family. Our advanced urgent care services include on-site labs and the treatment of non-threatening conditions. Whatever your basic health needs are, your local FastMed Urgent Care is available. Our belief is that everyone should be able to receive quality care, which is why we don’t cut any corners when it comes to FastMed’s urgent care services. Our team of medical professionals is determined to work efficiently while catering to the individual reasons behind your visit. If you’re in need of medical care, stop by or call us today.